Acne can cost you at more than just money. Consistently buying different products from the chemist that show no lasting results, acne needs a dedicated skin routine that takes time to show true results. 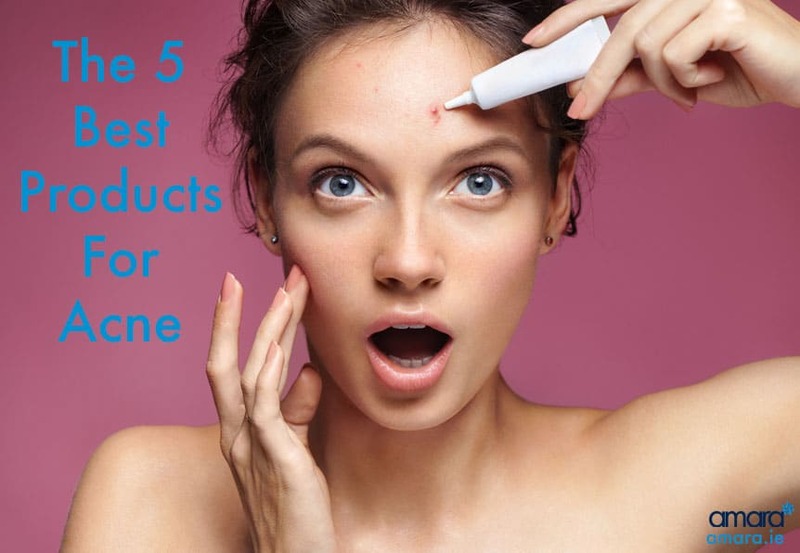 Here’s our top 5 products for acne, spot prone or congested skin. Every skin routine should start with a well-tailored cleanser. Exfoliating cleanser by ZO Skin Health contains Salicylic acid to chemically exfoliate and unclog pores, removing excess oils from the skin. Blocked pores spread bacteria and acne so it is vital that pores are kept clear. The exfoliating cleanser also contains Jojoba esters to exfoliate dead skin cells without drying out your skin. Vitamin E is an added antioxidant to help protect your skin from free radicals such as pollution. Exfoliating dead skin cells is essential to keep pores from becoming blocked. Adding in a manual exfoliant to physically buff away dead skin cells does wonders for your skin texture. You’ll notice that your serums and antioxidants go further on your skin after exfoliating your makeup goes on nicer. Dual action scrub contains larger exfoliants as well as added treatments such as salicylic and lactic acid. This exfoliant has the added benefits of treating and soothing your skin as you use it. Use Oil control pads that contain 2% salicylic acid. Salicylic acid is your best friend when it comes to acne as it removes excess oil, sebum and dirt without drying out or irritating your skin. This helps prevent and treat all types of spots. Added mandelic and glycolic acid exfoliates the skin while helping to prevent discolouration. Oil control pads help to restore moisture and hydration and improve the appearance of pores. Acne treatments are essential for treating breakouts as well as preventing new spots from becoming inflamed. A sulphur mask twice a week treats excess oil and will calm irritated skin. This can also be used a spot treatment if needed. Containing 10% Benzoyl Peroxide Acne control is a serious treatment for blemishes and active acne. Benzoyl peroxide treats acne while antioxidants and anti-irritants such as tea tree, green tea, and grape seed treat redness and inflammation prevent scarring. 10% Glycolic and lactic acid stimulates epidermal renewal for anti ageing and healthy skin benefits. Anti-irritants and antioxidants soothe irritated skin. Your skin health specialist may recommend that you alternate between Acne Control and Exfoliation Accelerator depending on your skin type. SPF is essentially for all skin types. However, the sun can dehydrate acne and make you more prone to scarring and irritation. A physical SPF is for acne prone skin as is protects the skin by creating a barrier. SPF 30 with primer gives your skin an even texture and tone, good for under makeup or bare face. This is just an average guide for those who suffer from acne your Skin Health Specialist will recommend the best products depending on your type of acne. They may also recommend other products to help prevent scarring or to treat current scars. Wrinkle and texture repair contains retinol and will improve the overall texture of your skin. Pore refiner is also a popular option depending on your own needs. Book in for a skin consultation with a skin health specialist today to start treating your acne for long-term results.